When we think of good design, manufacturing processes along with functionality and aesthetics factor high on our list. Broom is 75 percent waste polypropylene and 15 percent reclaimed wood shavings, and it is made in the USA. 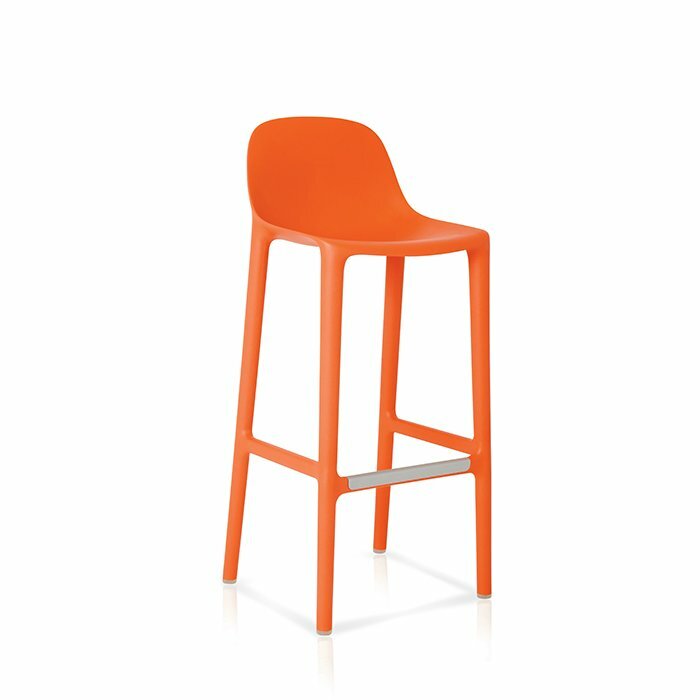 The back rises about a foot taller than the rounded seat, offering support. It comes in six colors and in bar and counter heights.